According to research, chiropractors provide the initial treatment for nearly a third of patients who need treating for spine pain and 40% of people who have lower back pain, following a motor vehicle accident (MVA). What’s more, studies have indicated that when seeking chiropractic care after suffering from chronic whiplash, 93% of patients found their symptoms had improved. Why Should You Choose a Chiropractor for Auto Injury Treatment? The high number of people who seek chiropractic care following a car accident demonstrates the importance of this auto injury treatment. After all, when you’re in a car accident, your spine becomes incredibly vulnerable. And with it playing such an important role in your anatomy, getting it treated as quickly as possible becomes vital. Sometimes, however, people wrongly assume the aches and pains they feel after an accident will ease with time, and are something they can “walk off.” But in most cases, this doesn’t happen. Pain that starts in your feet, hips, legs, or neck could indicate there’s a problem with your spine. 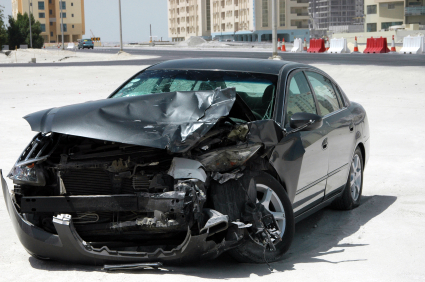 Even headaches, dizziness, or blurred vision can be a sign of whiplash-related injuries. That’s why, even if your back doesn’t feel uncomfortable after a car accident, you should visit your local chiropractor just to be sure. You can only feel 7% of your entire body. If you’ve never visited a chiropractor in Miami before, it’s only natural you may feel nervous, but these trained specialists will soon put your mind at ease. Although chiropractors specialize in the spine and its surrounding tissues and muscles, they’re also able to provide qualified diagnoses for various conditions relating to the back, shoulder, wrists, knees and ankles etc… Therefore, before they carry out any treatment, they’ll do a detailed examination of your back to identify what type of chiropractic care is necessary to relieve your pain. Once identified, they’ll start to realign your spine. They do this by relaxing your muscles before applying pressure to the spine, encouraging the bones to return to their normal position. This process can take a number of visits to complete, but you should start to feel some relief after your first few vistits. During your first visit we also give you hot/cold packs, bio freeze, sombra, and pain relief gels to help you feel better fast. Recent law changes for Florida Auto Insurance limits the time frame for you to seek medical attention and put a claim in with your insurance company. If you wait more than 14 days after the accident to seek treatment, your insurance company will not provide coverage for it under the accident claim. practor for your insurance company. It’s also a good idea to jot down what care you’ve received, what injuries you’ve sustained, and any other medication/details your doctor has provided you with. 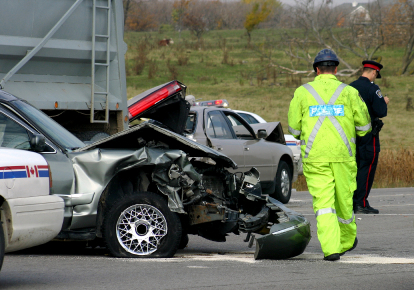 Car accidents can be incredibly traumatic and the effects they have on your body can be long-lasting. Don’t wait for the pain to go away on its own and speak to our experts at East Side Chiropractic in Miami today.